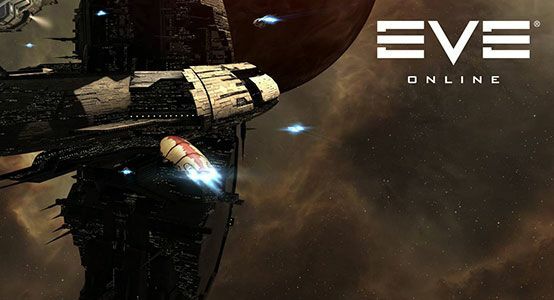 EVE Online’s biggest battle yet – Over 4000 players! You might remember hearing about the Bloodbath of B-R5RB from 2011 and how massive that battle was. Well, a recent skirmish over a Keepstar Citadel in the X47L-Q system completely obliterated it in terms of scale. If you’re not familiar with the 2011 B-R5RB battle, it lasted for over 21-hours, brought it a total of 7548 players with a peak of 2670 in the system at one time. Roughly 200 Titan-class ships made it into this fight. The estimated cost of losses ran over 11-trillion ISK which worked out to about $300,000-$350,000 USD back in 2011. In comparison, the battle over X47L-Q had 4500 people in local at a single time and the estimated cost of loss at this time exponentially higher. Potentially into the millions of dollars depending on how you factor the real world value of ISK. We don’t know the exact numbers yet, but they’ll be tallied sooner than later. At this stage, what we know for sure is over 400 Titans were fielded throughout the fight. According to EVE’s official Twitter page, a total of 56 Titans, 21 Supercarriers, 406 Deadnoughts, 21 Carriers, and 307 Force Auxiliaries were lost. It’s worth noting those are just 811 of the bigger ships and there were undoubtedly thousands of smaller ships lost as well. Just the value of the lost Titans alone is upwards of $250,000 USD assuming they’re worth around $5k a piece. However, one of those 56 Titans had a value of 513,031,782,365.13 ISK (513-billion) or about $6100 USD according to zKillboard – it dropped over 91-billion ISK worth of loot which is easily enough to buy another Titan hull! For reference value, 513-billion ISK is way higher than the average Titan’s value. For the sake of getting a figure, let’s assume the average cost of a Titan (once kitted) is about $200-billion ISK – it’s usually less. But, times that by 56 and you end up with a sum of about 11.2-trillion ISK worth of Titans lost. This is an extremely rough estimate and the total value could be higher or lower. A Supercarrier can easily cost 100-billion ISK once kitted, that’s a real-world value of around $1300. That’s another 2.1-trillion ISK or about $31,000 across the 21 destroyed Supercarriers. Dreadnoughts are much cheaper at roughly 1.8-billion ISK (about $20). Considering there were 406 of them lost during this battle, that’s about 730-billion ISK worth, or about $8100. Carriers can get up to around 2-billion ISK once kitted which is just over $20. Since only 21 were lost in this battle they don’t add much to the overall losses with only 42-billion ISK which is less than $500 total. Force Auxiliaries (FAX for short) are massive support ships that once kitted can easily cost upwards of 3.3-billion ISK. Since 307 of these ships were lost, that’s a little more than 1-trillion ISK; about $10,000. Using the numbers released by CCP and very rough estimates of prices based on metrics from zKillboard, we estimate the loss of just these 811 ships cost about 15,072,000,000,000 ISK (15.07-trillion). About 4-trillion higher than total loss from the 2011 Bloodbath of B-R5RB… And again, these 811 ships are but a small portion of the total ships to take part. Once more info is aggregated we’ll have a clearer picture of exactly how many ships were involved and how many were actually lost. This likely won’t be the last skirmish of this size. Every time one of these massive battles happen, they tend to be bigger than the last. Next time, we might see 1000 Titans fielded and over 100 lost!